Have you ever heard of (or better yet, seen) a battle of the bands? This is a music format in which two or more bands perform for the title of best band. As storing data in the cloud is being widely adopted by an increasing number of users, I'm going to adapt this format a little bit today by having a look at the major providers of online storage. Namely, Microsoft's OneDrive for Business vs. Google Drive, Dropbox and Box. Before I jump into profiling each of our contenders, it might be handy to look at the conditions that made these types of storage mechanisms necessary. The earliest web of cloud storage that relied entirely on the internet technology stack was actually released by AT&T in the US. Going by the name PersonalLink Services, it was an online meeting suite aimed at enterprise users. This was in 1994. However, I'll guess that you've probably never heard of it before. It took over a decade for any serious dent to be made on the cloud storage market. Why’s that? It actually has very little to do with technologies themselves, but the timing and the perception of them. Cloud based storage really had to wait for an era of mobility to be ushered in before its true potential could be gleaned. The bulk of the services named above have seen in recent years huge levels of uptake among personal users. DropBox in particular, was very popular in bypassing corporate IT controls on file sharing, centrally managed FTP repositories and the like. These behavioural trends (alongside the disruption caused by enterprise social networks) challenged traditional thinking around corporate software provision, to the point that it made sense to envelop them in corporate thinking rather than trying to suppress them. This (among many other reasons) evolved into the idea of Saas: Software as a Service. What I want to arm you with today is a grounding in each of the established providers’ offerings so that you can make an informed decision about what may be best for your current scenario. As a quick note, all of these offerings have phone and desktop applications. These are covered in the Supported Operating Systems details below. OneDrive is the Microsoft cloud offering that was previously known as SkyDrive. Being an MS product, it has great synergy with Windows 8 and later Operating Systems. However, the synergy with other MS offerings doesn’t stop there. Natively, the mobile clients provide read-only access to the Office Apps with more functionality provided if you link it to an Office 365 subscription. This opens up the possibility of real time collaboration on any linked device. One more item of note that OneDrive phone apps have over the other offerings is that it can plug into DropBox and pull files that may be stored there too. Google's Drive facility aims to create a seamless experience across more than just the cloud storage facility. It offers productivity apps alongside this, in the form of its inbuilt suite. These include great preview facilities that work to open and preview documents directly within Google Mail accounts. It also has one of the better drag and drop facilities. Dropbox is the only platform that currently provides support for Linux, which gives a slight accessibility edge on its rivals. Another strong aspect is that any file uploaded via the browser doesn't have any single file size restrictions. Dropbox has an interesting way of granting you additional space for free, via interacting with some of its various features and for actively referring others to the platform. The free offering of Box shares one feature with its commercial facing cousin: A huge range of sharing related features that let you plug updates and other alerts into other systems. On the negative side, both the navigation and the feature set can be complicated for personal users to understand. Although there are undeniable differences, there isn't really that much setting them apart. Some features would do well if drafted onto other platforms, but if I had to pick one to watch, it would be OneDrive for Business. 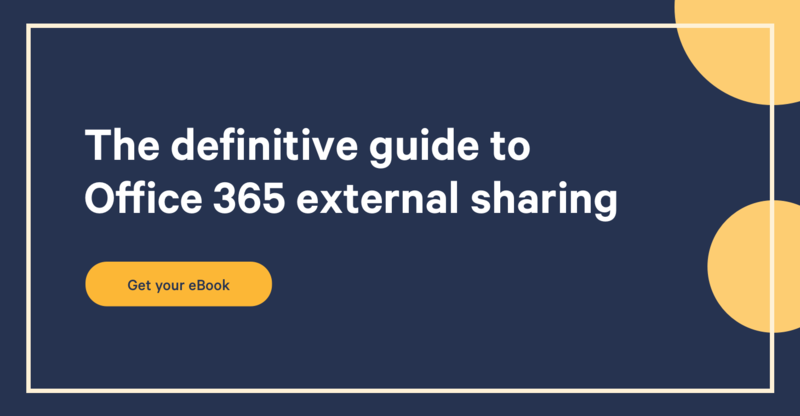 As it's part of the wider Office 365 experience - which is in itself full of both mature and next generation portals - I feel the development potential around integrating with OneDrive makes this a particularly impressive proposition.